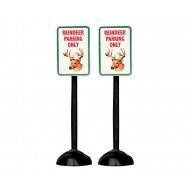 Lemax "Reindeer Only Parking" Sign, Set of 2 Item 54939 Features Include: Polyresin Landscape Ap..
Lemax American Flag Pole Item 64150 Approx. 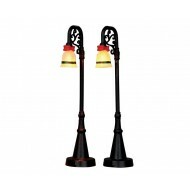 size: ( H x W x D ) 21 x 7 x 7 ..
Lemax Bell Ornament Lamp Post, Set of 2 Item 54932 Features Include: Plastic Lighted Acces..
A little warmer weather would make the bicycles easier to ride, but, it is Christmas. 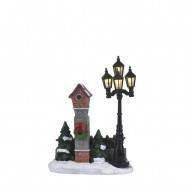 L8.5 x w4.5 x ..
A bird house and old styled lantern occupies the open green space on the small hamlet's main st..
SKU#: 44798 Approx. 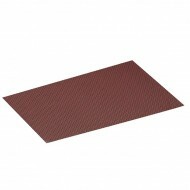 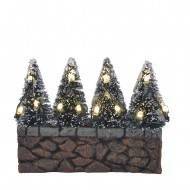 size (H x W x D) 6.30 x 5.12 x 2.36 inches 16 x 13 x 6 cm ..
Lemax Brick and Pebble Roads, Set of 2 Item 34917 Features Include: Plastic landscape Approx siz..
Lemax Brick Mat Item 74178 Features Include: Plastic landscape Approx size: ( H x W x D ) ..
Bristle Tree, 7.5cm Set of 4 LUV-605004 ..
Four LED lighted trees are planted in a stone wall. 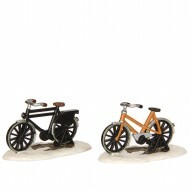 Requires 2 AA batteries, not included. 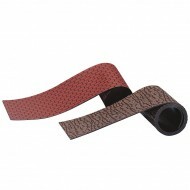 A/C adapt.. 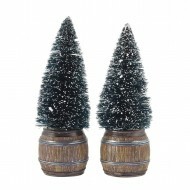 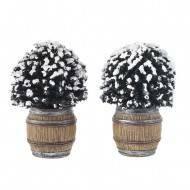 Snow covered Buxus planted in barrels, 7cm tall ..
Christmas tree, undecorated, planted in wood barrel. 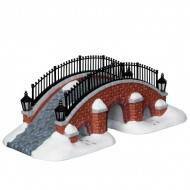 H10cm ..
Lemax Cold Creek Bridge Item 23962 Features Include: Polyresin Table Accent Approx. 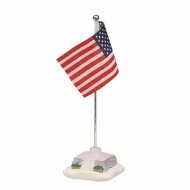 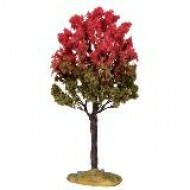 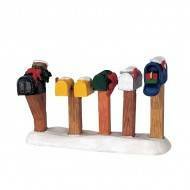 size: ( H x ..
Lemax Country Road Mailboxes Item 44229 Features Include: Polyresin Figurine Approx. 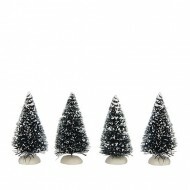 size: (&nbs..